In the presence of incomplete or out-dated network information in existing technical or geodetic documentation, capturing data pertaining to hundreds of kilometres of network is a big challenge. Also very important and complex is to ensure regular network inspections, according to maintenance regulations. Globema offers an excellent solution for field data capture and network inspections/verification: Mobile Data Collector (MDC). Mobile Data Collector (MDC) is a stand-alone tool created to improve the process of stocktaking network and infrastructure data in Telecoms and Utilities (mostly energy and gas companies). It enables field force to optimize the stocktaking efforts in the field while gathering or verifying information. 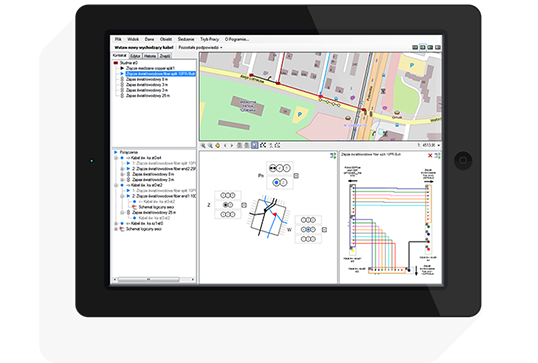 MDC has an open architecture and thus can support multiple GIS platforms, such as Smallworld PNI, ESRI, Google Maps or Intergraph.